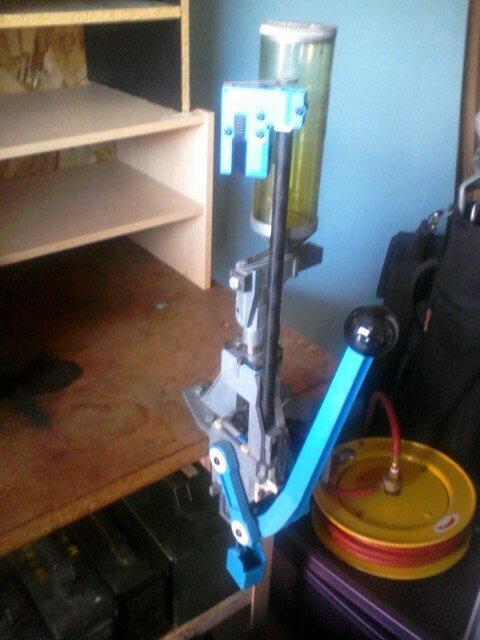 I have a Dillon Square Deal B press set up for .44 Magnum. It is in excellent condition and is ready to bolt down and start cranking out high quality reloads. It is covered by Dillons lifetime 'No BS' warranty. It has never given me a lick of trouble. I am asking $300 plus shipping and if within a reasonable distance would drive 1/2 way to deliver. I am located near Spokane, WA. New price on this press is $365 plus tax and or shipping. I also have the small cavity tube for the powder measure and the dies and change over accessories for a .40 S&W that will be included. See the attached picture. This press will easily turn out ove 300 rounds per hour. Check out Dillon Precisions websie or catalog for great information and normal pricing. I updated the listing as a .45 Colt Blackhawk found it's way into my safe today. The Dillon Press was sold.